Cooking Area: 60 Sq. inch. 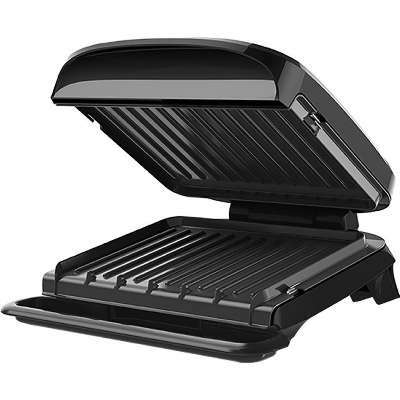 The grill plates are tough, but everything else is incredibly easy with the George Foreman 4-Serving Removable Plate Grill and Panini. 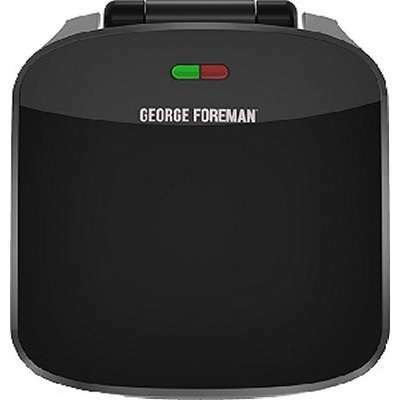 The big upgrade here is the Advanced George Tough nonstick coating, which is 3x more durable, scratch-resistant, and dishwasher-safe for simple cleanup. 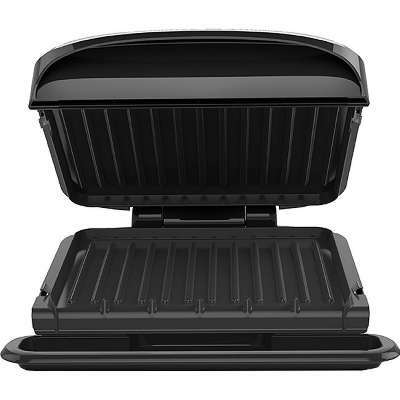 Durable, fast, and easy to clean-this is the perfect grill for couples or small families who want easy, delicious meals. 35% Faster Heat-up - 10 minutes from plug-in to plate. Cooking Area 60 Sq. inch.